Green obsidian is a valuable Reiki stone particularly for the working around the heart to clear blocked energies. Green obsidian opens and purifies the heart and throat chakras. It removes hooks and ties from other people and protects against repetition. Green Obsidian treats the gallbladder and the heart. This stone facilitates relaxation, calm, peace; it reduces stress, eases insomnia, protects you from nightmares; promotes the ability to flow with change; promotes confidence in outcomes and the knowledge that everything is alright. 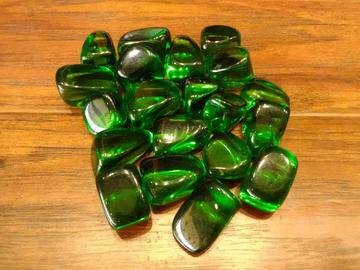 Green obsidian is an excellent stone for protection from people who try to drag you into their own personal crises. Wear or keep green obsidian near you if you work with people, particularly if they are troubled, to keep your own energies light and positive.